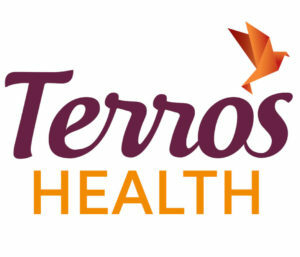 Serving Arizona for nearly 50 years, Terros Health is a non-profit whole health care provider offering primary care, mental health and addiction services at five centers in the Phoenix metro area. Extending further, Terros Health provides outpatient mental health and addiction services at seven centers and mobile crisis services in Maricopa, Coconino and Yavapai counties. The common thread through Terros Health’s services is its belief that every person has the ability to make changes to improve their lives. Often, patients who need assistance have trouble asking for help and Terros Health patients are no different. Working to overcome this hurdle, Terros Health has a “no wrong door” approach to entering its system of care at 12 locations across the Valley. To achieve this, Terros Health collaborates with the communities it serves and partners with other organizations and agencies to increase its capacity to help more people. Terros Health also works with hospitals and police departments to bring together community support and help for people in trouble with drugs. To serve as an example and highlight the countless work it does within the community, Terros Health has worked with Arizona’s Child Protective Services (CPS) for 10 years to provide substance abuse treatment for families referred by CPS. This service promotes family independence and stability while reducing disturbance in the home and supporting child safety. As a result, families have access to the resources they need and more children stay out of the foster care system. Continually expanding its reach in Arizona allows Terros Health to provide jobs to more than 1,100 employees, and its work for whole health doesn’t stop with patients. Terros Health strives to achieve optimal health for all employees resulting in positive physical and emotional outcomes leading to improved productivity and fewer sick days. As a result of healthy employees, Terros Health was able to help more than 50,000 patients improve their health and well being last year.